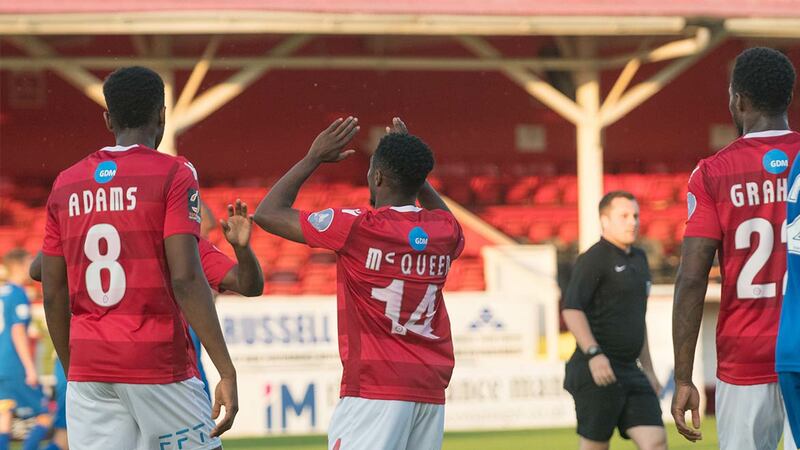 Six games without a win, Fleet delivered in some style with a convincing 3-1 win at Dagenham & Redbridge, the first win at Victoria Road in 12 years to maintain the visitors’ impressive away record. 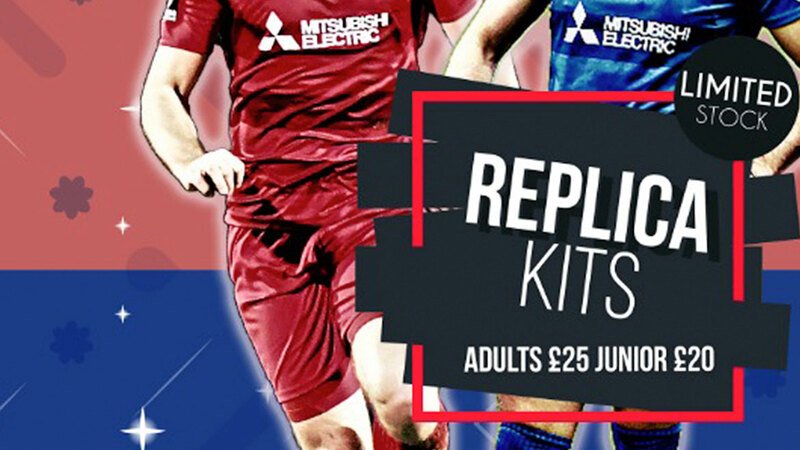 Daryl McMahon handed new signing Reise Allassani his debut alongside the recalled Danny Kedwell, while Kenny Clark returned to the heart of defence, Sam Magri making way for him. And all three replacements were more than worth their starts as the new yellow third kit got off to a three-point start. 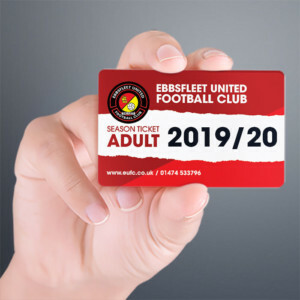 Fleet will have needed no reminding that opposing teams have wised up to the gift of an early goal and they set about the home side with a determination not to allow that to happen. With Allassani sitting just behind Kedwell and Whitely but roving across the width of the pitch at will, he immediately caught the eye. Fleet forced a couple of corners early on and that was the route for the opening goal on five minutes. It came moments after Dean Rance had planted a firm header on target that was cleared behind for a corner. Corey Whitely sent that one spinning to the far post and Chris Bush was one of three Fleet players within reach, getting his head on it to send it past Elliott Justham. That goal sent the confidence soaring through the Fleet and they pressed Dagenham back. Kedwell got another firm header on target, Justham fending that one off and the Daggers goalkeeper was called upon again moments later as Allassani sent a rising shot towards the top corner. The new signing, revelling in what seemed to be a free role across the final third, sent a 15th minute effort flashing low across the mouth of the goal. 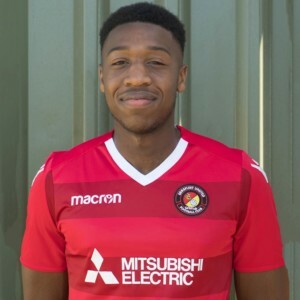 Tempers flared after that when Ebou Adams and Harry Donovan collided as both stretched for a tackle, McMahon up out of his dugout to clash with Daggers defender Alex Davey but a potentially nasty situation was quickly defused by the referee who handed Donovan a yellow card. On 23 minutes, Kedwell launched a clearance from just outside the box that bounced perfectly for Whitely who sped into a gap and unleashed a shot that disturbed the side netting with some force. Fleet then had a half-hearted handball claim turned down after a Weston shot hit Luke Pennell but the lead was extended on the half-hour. 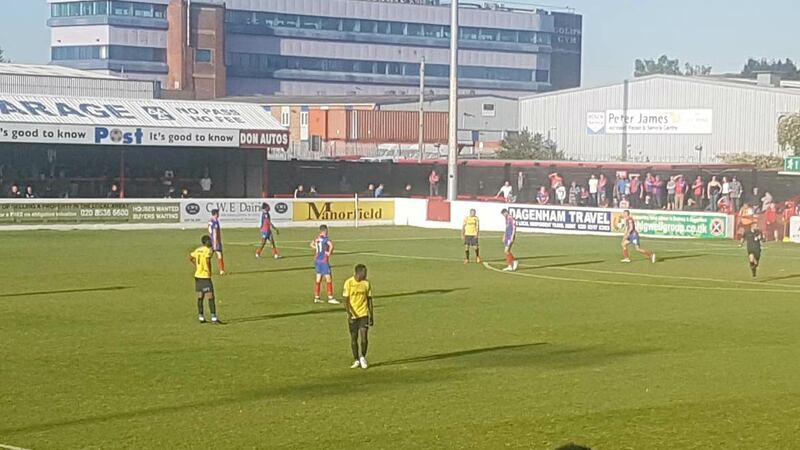 A Dagenham free-kick was intercepted and Adams launched the ball forward where Whitely patiently waited for Adams to advance and he laid a pass wide to Myles Weston. 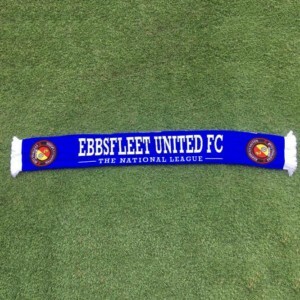 The Fleet winger delivered low towards the six-yard box and Kedwell slid in to tuck a shot into the roof of the net from close range. The home side’s gameplan was surely to keep the Fleet frustrated and perhaps steal an early goal but that now disappeared out the window. It could have been 3-0 on 36 minutes when Allassanni found some space to the left of the penalty area and he drove in a low shot that skipped just wide of the target. But Dagenham found a lifeline three minutes before the break as a previously comfortable Fleet lost concentration for the first time in the game. Elliott Romain got his delivery spot on as he got in behind and Maidstone loanee Shamir Mullings accepted the delivery off a foot, arriving first to the ball to send it out of Nathan Ashmore’s reach. Fleet needed to keep a tight rein on the game as the second-half began, but they were forced into a change, Jack Powell replacing Dean Rance who had needed treatment late in the first period. Dagenham also made a change, former Woking frontman Chike Kandi thrown into the fray. And Peter Taylor’s side made a decent fist of the opening moments, applying pressure to the Fleet goal. Ashmore had to make a smart stop from Donovan and skipper Matt Robinson piled in another effort that was blocked. The industrious Allassani then had his side’s first chance of the second half, running on to Kedwell’s through ball and striking the goalkeeper’s legs before Kedwell’s header was well thwarted Justham. But Fleet were beginning to turn the screw again and they earned a penalty when Whitely’s anticipation and strong running drew a foul from Ben Goodliffe – subsequently issued with his marching orders – inside the box and Kedwell confidently despatched the spot kick for his fifth goal of the season. Fleet just needed to keep a level head and the points were theirs. Ashmore was a little carefree with a kick out that he hit straight at Kandi but the goalkeeper redeemed himself with a fine stretching save at his near post as Romain accepted the pass down the left. Powell had two free-kicks that cleared the bar from good positions and Dave Winfield’s header flew just wide as the last 20 minutes descended. Luke Coulson then replaced the excellent Allassani who departed to warm applause. And the substitute had a good opportunity to play Whitely in for a fourth but opted to shoot. Kandi could have pulled one back for the Daggers at the other end when he found some rare room to manoeuvre to the left of the Fleet box but unchallenged he missed the target. Former Dagger Michael Cheek got on for the last 10 minutes and he wasn’t far off an instant impact, firing off a strike that Justham saved well moments before being announced as the home man of the match. Whitely had one last chance in time added on, hammering a vicious low shot across the face of goal but by then, Fleet had wrapped up the points anyway.